Watch this space for a new post by Tim. Meanwhile read Manoj Joseph’s recent comments. 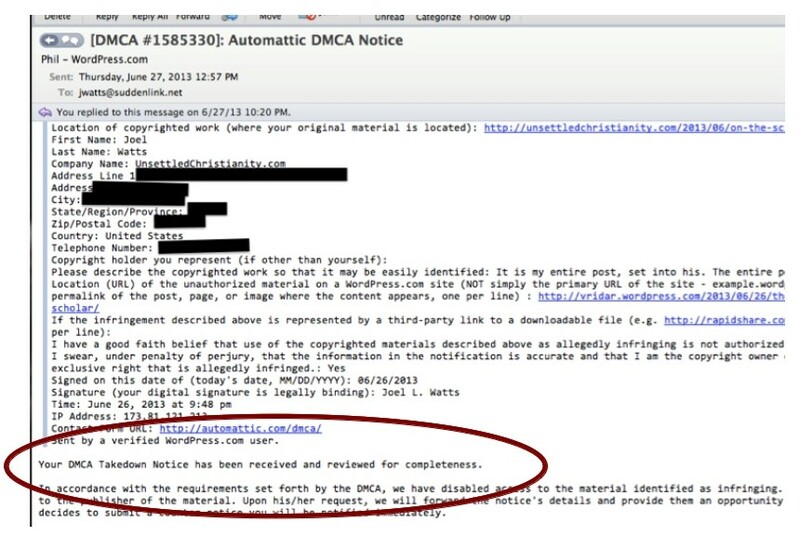 On a related matter: Joel Watts has been writing quite a lot to portray WordPress.com through Automattic as diligently investigating the merit of his claim before posting a DMCA takedown notice. See Ugh – Once Again the DMCA and his various comments on James McGrath’s post, Vridar No Longer Available. That’s it. They explained to Joel that they had received his DMCA takedown notice and reviewed it for completeness. It was the same when I submitted my counterclaim. I had to check off a whole lot of boxes confirming I had included everything in my statement that they required. They did not check my or Joel’s blog sites to see if my statement was true. That is, Automattic at this stage does not investigate and confirm the validity of the claims. That is a later process and the responsibility of a court. Automattic’s job is to be sure that each party submits its sworn statements according to due process. 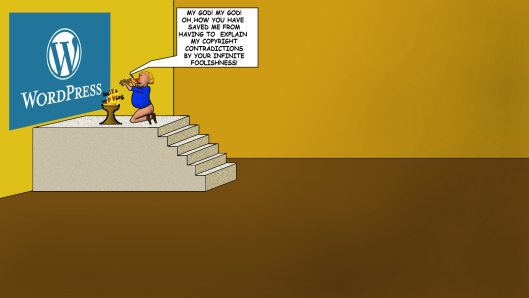 One reader has posted a classic cartoon of the recent events as explained by a certain M. Joel Watts, MA. . . . For full details of the particular post by M. Watts that this cartoon depicts, as well as the original source photographs on which it is based (they are also classics!) you must visit the original post by pithom on his blog. It includes a little webliography of recent related posts, too.